The United States federal government shutdown of 2018–2019 occurred from midnight EST on December 22, 2018 until January 25, 2019 (35 days). It was the longest U.S. government shutdown in history, and the second[a] federal government shutdown involving furloughs during the presidency of Donald Trump. It occurred when the 115th United States Congress and Republican President Donald Trump could not agree on an appropriations bill to fund the operations of the federal government for the 2019 fiscal year, or a temporary continuing resolution that would extend the deadline for passing a bill. The Antideficiency Act prohibits federal departments or agencies from conducting non-essential operations without appropriations legislation in place. As a result, nine executive departments with around 800,000 employees had to shut down partially or in full, affecting about one-fourth of government activities and causing employees to be furloughed or required to work without being paid. The Congressional Budget Office estimated the shutdown cost the American economy at least $11 billion, excluding indirect costs that were difficult to quantify. The shutdown stemmed from an impasse over Trump's demand for $5.7 billion in federal funds for a U.S.–Mexico border wall. In December 2018, the Republican-controlled Senate unanimously passed an appropriations bill without wall funding, and the bill appeared likely to be approved by the Republican-controlled House of Representatives and Trump. After Trump faced heavy criticism from some right-wing media outlets and pundits for appearing to back down on his campaign promise to "build the wall", he announced that he would not sign any appropriations bill that did not fund its construction. As a result, the House passed a stopgap bill with funding for the wall, but it was blocked in the Senate by the threat of a Democratic filibuster. In January 2019, representatives elected in the November 2018 election took office, giving the Democrats a majority in the House of Representatives. The House immediately voted to approve the appropriations bill that had previously passed the Senate unanimously (which included no funding for the wall). For several weeks, Trump continued to maintain that he would veto any bill that did not fund an entire border wall, and Republican Senate Majority Leader Mitch McConnell blocked the Senate from considering any appropriations legislation that Trump would not support, including the bill that had previously passed. Democrats and some Republicans opposed the shutdown and passed multiple bills to reopen the government, arguing that the government shutdown amounted to "hostage-taking" civil servants and that negotiations could only begin once the government was reopened. On January 25, 2019, Trump agreed to endorse a stopgap bill to reopen the government for three weeks up until February 15 to allow for negotiations to take place to approve an appropriations bill that both parties could agree on. However, Trump reiterated his demand for the border wall funding and said that he would shut down the government again or declare a national emergency and use military funding to build the wall if Congress did not appropriate the funds by February 15. Trump's approval rating decreased significantly during the shutdown. A majority of Americans opposed exploitation of the shutdown as a negotiating strategy and held Trump responsible for the shutdown: A CBS News poll found that 71% of Americans considered the border wall "not worth the shutdown" and a poll by The Washington Post and ABC News found that 53% of Americans blamed Trump and Republicans for the shutdown, compared to 34% who blamed Democrats and 10% who blamed both parties. On February 15, 2019, President Donald Trump declared a national emergency in order to bypass the United States Congress, after being unsatisfied with a bipartisan border bill that had passed the House of Representatives and the Senate a day before. During his 2016 campaign, Trump promised to build a wall along the Mexico–United States border for which Mexico would pay. The president of Mexico rejected the idea of providing any funding for a U.S. border wall. In 2018, Trump requested $18 billion in federal funding for some 700 miles (1,100 km) of barrier on the border, mostly to replace 654 miles (1,053 km) of aging fence built under the Secure Fence Act of 2006. On December 25, 2018, Trump reversed course, suggesting that he might accept 500 to 550 miles (800 to 890 km) of either mostly refurbished barrier (rather than new barriers in locations that did not previously have them) by November 2020. Trump's proposals and public statements on the wall have shifted widely over time, with varied proposals as to the design, material, length, height, and width of a wall. In September 2018, Congress passed two "minibus" appropriations bills for the 2019 United States federal budget, which began on October 1, 2018. These bills combined five of the 12 regular appropriations bills covering 77% of federal discretionary funding, and included a continuing resolution until December 7 for the remaining agencies. On December 6, Congress passed a second continuing resolution to December 21, to give more time for negotiations on Trump's proposed border wall, which had been delayed due to the funeral of George H. W. Bush. A Senate Homeland Security appropriations bill, negotiated by both parties and reported by the committee to the Senate, provided for $1.6 billion for border security, including funds for "approximately 65 miles of pedestrian fencing along the southwest border in the Rio Grande Valley Sector". The bill did not receive a vote on the Senate floor, although House Democratic Whip Steny Hoyer indicated that such a proposal could be acceptable to House Democrats. Senate Minority Leader Chuck Schumer (D-NY) said the Democratic Party would not support $5.7 billion for the border wall. At a press conference before the government shutdown, he noted "the $1.6 billion for border security negotiated by Democrats and Republicans is our position. We believe that is the right way to go." On December 11, Trump held a televised meeting with Speaker-designate Nancy Pelosi and Senate Minority Leader Chuck Schumer in the Oval Office and asked them to support an appropriation of $5.7 billion for funding of a border wall. They refused, resulting in an argument between Trump and both Congressional leaders. During the contentious discussion, Trump said, "I am proud to shut down the government for border security ... I will be the one to shut [the government] down. I'm not going to blame you for it ... I will take the mantle. I will be the one to shut it down." Schumer replied, "We shouldn't shut down the government over a dispute." Ten days later, Trump blamed Democrats for the impending shutdown. Three days later, Politico reported that Trump was willing to sign a bill with no funding for a border wall that delayed a government shutdown into 2019 and the new Congress. On December 18, following a meeting with Trump, Senate Majority Leader Mitch McConnell said that the government would not shut down on December 22 and that Trump was "flexible" over funding for a border wall. Senate Appropriations Committee Chairman Richard Shelby commented that the most likely resolution was a bill that funded the government until early February. Schumer added that his caucus would "very seriously" consider such a bill and Senate Majority Whip John Cornyn said "I don't know anybody on the Hill that wants a shutdown, and I think all the president's advisers are telling him this would not be good." On December 19, the Senate passed a second continuing resolution (H.R. 695) that would fund the government until February 8, 2019. Pelosi announced that House Democrats would support the measure, meaning it would overcome opposition from conservative Republicans and pass the House. On December 20, following increased criticism from conservative media, pundits, and political figures, Trump reversed his position and declared that he would not sign any funding bill that did not include border wall funding. The same day, the House passed a continuing resolution that included $5 billion for the wall and $8 billion in disaster aid. This bill failed in the Senate. Trump's changing position caused consternation among Senate Republicans. The shutdown started December 22  and Trump announced that he would cancel his planned trip to Mar-a-Lago for Christmas and stay in Washington, D.C. The meaning of the term "wall" was expected to be an aspect of the negotiations. Congress adjourned on December 22 for the Christmas and holiday season, with many predicting that the shutdown would not be resolved until the start of the 116th Congress. The Senate reconvened on December 27 for four minutes, with Republican Senator Pat Roberts (R-KS) presiding over the session. The House briefly reconvened as well, with Republican Majority Whip Steve Scalise (R-LA) saying that members should not expect any further votes for the rest of 2018. Representative Jim McGovern (D-MA) went to the House floor to try to force consideration of a short-term funding bill to end the shutdown that the Senate had already passed, but the Republican Speaker-pro-tem refused to let him speak. Congress then adjourned again until December 31, 2018, for a pro forma session. On January 2, 2019, the last full day of the 115th United States Congress, there was a pro forma session scheduled to last several minutes. The new Congress was sworn in on January 3, 2019, and one of the first orders of business in the House after electing the Speaker and swearing in the new members was a continuing resolution to fund the Department of Homeland Security until February 8 (H.J.Res. 1), which passed by a vote of 239–192; and a package combining five appropriation bills funding the rest of the government for the remainder of the fiscal year (H.R. 21), passed by a vote of 241–190. The bills contained $1.3 billion of funding for border security, but no additional funding for a border wall. Financial Services and General Government Appropriations Act, 2019 (H.R. 264) – bill to restore appropriations to the Treasury (including the Internal Revenue Service), federal judiciary, District of Columbia, and a number of independent agencies, including the Federal Communications Commission, Federal Trade Commission, General Services Administration, and Securities and Exchange Commission. The House passed the legislation on January 9, on a 240–188 vote, with every Democrat and eight Republicans voting yes, and all other Republicans voting no. Agriculture, Rural Development, Food and Drug Administration, and Related Agencies Appropriations Act, 2019 (H.R. 265) – bill to restore appropriations to the Department of Agriculture (including food stamps), the Food and Drug Administration, and related entities. On January 10, the House passed this bill 243–183. Transportation, Housing and Urban Development, and Related Agencies Appropriations Act, 2019 (H.R. 267) – bill to restore Transportation and Housing and Urban Development (including some federal mortgage programs). On January 10, the House passed this bill 244–180. Department of the Interior, Environment, and Related Agencies Appropriations Act, 2019 (H.R. 266) – bill to restore appropriations to the Interior Department, Environmental Protection Agency, and other agencies, including the Smithsonian Institution. On January 11, ten House Republicans voted with Democrats in a 240–179 vote to end the shutdown of Interior-Environment programs. It was the most recent of a "series of standalone appropriations measures" the House sent to the Senate. This strategy has been compared to one used by Republicans during the 2013 shutdown in the form of a series of fourteen mini-continuing resolutions. Senate Majority Leader Mitch McConnell vowed that the Senate would not consider the House bills to reopen the government, indicating that Senate Republicans would not support any bill unless it had Trump's support. In January 2019, McConnell and Senate Republicans came under increased pressure to break the impasse and reopen the government. Three Republican Senators—Susan Collins of Maine, Lisa Murkowski of Alaska, and Cory Gardner of Colorado—called for an end to the shutdown. Senators Collins and Gardner said they supported the House's budget bills to end the shutdown. West Virginia Senator Shelley Moore Capito said that she could support ending the shutdown provided border wall talks continued. Pat Roberts of Kansas said that shutdowns "never work" and only turned affected federal workers into "pawns" and that, although the time had not yet come for Senate Republicans to override any possible Trump veto and end the shutdown, "we're getting pretty close.” Johnny Isakson of Georgia echoed that sentiment, saying that support for McConnell's refusal to support bills that do not include funding for a wall would not last indefinitely: "There's a time when that may run out." On January 16, McConnell again blocked the House appropriation bills to reopen the government from being considered on the Senate floor. The following day, McConnell blocked consideration of bills to reopen most of the closed government agencies for a third time. On January 23, McConnell blocked a bill to reopen most of the government for the fourth time. On January 22, McConnell stated that the Senate would be voting on two different bills to end the shutdown on January 24. The first vote is on a bill to reopen the government which includes Trump's proposal to provide $5.7 billion for a border wall and temporary protections to some immigration classes. The other bill is a three-week continuing resolution to fund 25% of the government through February 8. On January 22, Senator Mark Warner introduced a bill to keep the federal government running in the event of future shutdown events. The bill is called the "Stop Shutdowns Transferring Unnecessary Pain and Inflicting Damage in the Coming Years Act" or the "Stop STUPIDITY Act". On January 24, the Senate held two votes on competing Democratic and Republican proposals to end the shutdown. The Democratic proposal was largely similar to the measure that had previously passed the Senate unanimously in the 115th Congress, and then been passed by the Democratic-controlled House in the 116th Congress. It provided funding for the government with no money for the border wall. The Republican proposal incorporated Trump's proposal, which would fund a border wall; temporarily extend TPS and DACA for three years, but would substantially narrow eligibility for DACA; and make significant legal changes to make it more difficult for persons escaping violence and persecution to be granted asylum in the United States. Neither proposal was able to attain the 60 votes needed for passage. The Trump plan failed in a 50-47 vote. The Democratic plan failed in a 52-44 vote. Most Republicans voted for Trump's plan and against the Democratic plan. Most Democrats voted for the Democratic plan and against Trump's plan. Republicans Tom Cotton and Mike Lee voted against both plans. Democrat Joe Manchin and Republicans Lamar Alexander, Susan Collins, Cory Gardner, Johnny Isakson, Lisa Murkowski and Mitt Romney voted for both plans. Not voting on either were Republicans Rand Paul and Jim Risch and Democrat Jacky Rosen. Republican Richard Burr voted for Trump's plan and did not vote on the Democratic plan. On January 25, House Democrats prepared a compromise proposal to reopen the government, which would provide $5 billion for border security but no wall construction. However, the shutdown ended the same day. On January 4, after the new Congress was sworn-in and Pelosi regained the speakership, she and Schumer, as well as congressional Republican leadership met with Trump at the White House. Pelosi and Schumer argued that the shutdown needed to end and reported that Trump refused. They said that Trump threatened to "keep the government closed for a very long period of time. Months or even years." On January 4, Trump admitted to "absolutely" making that threat, adding, "I'm very proud of doing what I'm doing." Trump then said that he was considering declaring a national emergency to use military funding for the wall. At the meeting, Trump reprimanded his acting chief of staff Mick Mulvaney for attempting to propose a compromise between Trump's $5.7 billion demand for a border wall and the Democrats' proposal of $1.3 billion for border security. Trump addressed the nation from the Oval Office at 9 p.m. EST on January 8, in a nationally televised address broadcast on both network and cable television. In his speech, Trump asserted that there was a "growing humanitarian and security crisis" on the Mexico–United States border that could only be solved by appropriating $5.7 billion for construction of a steel wall. Trump did not make any new proposals in his speech to break the impasse. Immediately after Trump's speech, Schumer and Pelosi delivered a response on behalf of the Democrats, in which they demanded an end to the shutdown and said: "President Trump must stop holding the American people hostage, must stop manufacturing a crisis and must reopen the government." Trump met with congressional leadership again on January 9, in a meeting lasting 14 minutes. Trump asked Pelosi, "Will you agree to my wall?" and when she replied that she would not, Trump said "bye-bye" and walked out of the meeting, later declaring it "a total waste of time". Schumer accused Trump of throwing a "temper tantrum" and slamming his hands on the table. Trump rebuked Schumer's comments on Twitter. Vice President Mike Pence and House Minority Leader Kevin McCarthy said that Trump remained calm and never raised his voice. On January 10, Pelosi described the preceding day's meeting with Trump as "a setup" staged by White House aides so that Trump could walk out of the meeting. Pelosi described Trump as "un-presidential"; accused him of "exploiting this situation in a way that enhances his power"; and said: "I don't think he really wants a solution. I think he loves the distraction." After Trump walked out of the January 9 meeting with congressional Democratic leaders, no further negotiations were conducted. Several Republican senators met in the office of South Carolina Senator Lindsey Graham, a close Trump ally, after the meeting to discuss a compromise to end the shutdown. They discussed agreeing to Trump's demand for border wall funding and offering the Democrats help for Dreamers, refugee protections and extensions to H-2B visas. On January 13, Graham proposed that Trump agree to a congressional vote to reopen the government pending the resumption of negotiations. Graham suggested that if Trump and congressional Democrats did not come to an agreement at that time, Trump could declare a national emergency. Trump rejected this proposal the next day. Border statistics: Both the population of unauthorized immigrants in the U.S. and southwestern border apprehensions have declined significantly over the past decade. On January 19, Trump proposed a temporary extension of the two programs that protect about 700,000 immigrants from deportation—Temporary Protected Status (TPS) and Deferred Action for Childhood Arrivals (DACA)—in exchange for funding for the border wall. The protections would be temporary, with no path to citizenship. Trump had previously revoked TPS for people from a number of Latin American and African countries, and taken steps to rescind DACA. In his remarks at the White House, Trump referred to a "barrier" rather than a "wall" and indicated that he aimed to erect "steel barriers in high priority locations" rather than "a 2,000-mile concrete structure from sea to sea." In addition to funding a border wall, the 1,300-page Republican bill released after Trump made his proposal would make major changes to U.S. immigration policy (which were not included in Trump's public announcement). The legislation would severely restrict the ability of children from Honduras, Guatemala and El Salvador to apply for asylum in the United States. Specifically, participation in the Central American Minors Program would be subject to an annual cap and migrant children would be barred from applying for asylum in person at the border, and only migrant children with a "qualified" parent in the U.S. would be eligible to apply. The bill would also create a new, more burdensome application process for TPS holders, and would exclude TPS holders from Sudan, Somalia, and Yemen. The American Immigration Lawyers Association government relations director said that the proposal "would categorically block tens of thousands of children from ever applying for asylum," while a Cato Institute immigration analyst wrote that the proposal would not extend DACA, but rather replace it with "a totally different program that will exclude untold thousands of Dreamers who would have been eligible under DACA." Democrats rejected Trump's proposal. In a speech on the Senate floor, Minority Leader Chuck Schumer said: "The president's proposal is one-sided, harshly partisan and was made in bad faith. The asylum changes are a poison pill, if there ever was one." House Speaker Nancy Pelosi said extending the DACA proposal temporarily was "unacceptable" and a "non-starter" because it did not "represent a good faith effort to restore certainty to people's lives." Analysts pointed out that Trump had previously rejected a deal that would have provided funding for the border wall in exchange for further protection for DACA recipients. Conversely, Republicans reacted positively to Trump's proposal, and Mitch McConnell said he would bring it to a vote in the Senate. President Trump states on January 14, 2019, "I'm not looking to call a national emergency ... I have the absolute legal right to call it but I'm not looking to do that 'cause this is too simple." During the shutdown, on January 8 in a press conference, a reporter asked Trump if he was considering declaring a national emergency, to which Trump replied, "I have the absolute right to do national emergency if I want" and suggested that he could declare an emergency. After this, Trump repeatedly threatened to declare a national emergency to unilaterally order wall construction without congressional authorization. Some of Trump's advisors, including his son-in-law Jared Kushner, reportedly attempted to dissuade him from doing so. Administration officials considered diverting hurricane-relief and wildfire-relief funds from a $13.9 billion February 2018 emergency supplemental appropriations bill (for disaster relief in Puerto Rico, Florida, Texas and California, among other places) in order to fund a wall, and directed the U.S. Army Corps of Engineers to look into this possibility. An attempt by Trump to invoke emergency powers would almost certainly have prompted a lengthy legal challenge in court. Democrats responded that Trump lacked the authority to declare a national emergency; Representative Adam Schiff called it a "non-starter" and said that "if Harry Truman couldn't nationalize the steel industry during wartime, this President doesn't have the power to declare an emergency and build a multibillion dollar wall on the border." Democratic Representative Nydia Velázquez said the notion of redirecting disaster-relief funds to a border wall was "beyond appalling". Presidents have declared emergencies in the past, but none has "involved funding a policy goal after failing to win congressional approval". Yale Law School professor Bruce Ackerman wrote that the declaration of a national emergency to build a wall as Trump suggested would be unconstitutional and illegal. Other scholars, such as Elizabeth Goitein of the Brennan Center for Justice, believed that Trump could make a colorable argument that diverting military-construction appropriations for border-wall construction was legal, but that doing so would be an abuse of power. Law professor Ilya Somin stated that in the unlikely case that Trump succeeded in using the emergency powers in this way, it would set a dangerous precedent, which Republicans would come to regret next time the president was a Democrat. On January 11, Trump—while maintaining he has the authority to do so anytime—said he was not in any rush to declare a national emergency to secure wall funding, saying he would rather see Congress "do its job" and that the Democrats "should come back and vote." The next day he again threatened to use emergency powers if Democrats did not "come to their senses." On January 16, Pelosi sent a letter to Trump that indicated the House would be unavailable for the 2019 State of the Union Address that was scheduled for January 29. Pelosi wrote, "Sadly, given the security concerns and unless government reopens this week, I suggest that we work together to determine another suitable date after government has reopened for this address or for you to consider delivering your State of the Union address in writing to the Congress on Jan. 29." The delivery of the State of the Union address had been delayed or substantially changed on only two occasions since 1913. In a letter sent to the Speaker the next day, Trump said she would not be allowed to take military transport aircraft on scheduled visits to Brussels, Egypt, and Afghanistan. Trump replied, "We will reschedule this seven-day excursion when the shutdown is over." Pelosi and a congressional delegation had planned on visiting overseas American military personnel. On January 23, Trump sent a letter to Pelosi insisting that there were no security concerns and that he would hold the State of the Union Address as scheduled. Trump wrote, "Therefore, I will be honoring your invitation, and fulfilling my Constitutional duty, to deliver important information to the people and Congress of the United States of America regarding the State of our Union." In a letter sent in reply, Pelosi stated that the House would not consider a concurrent resolution to authorize the State of the Union Address in the House Chamber until the shutdown ended, writing, "Again, I look forward to welcoming you to the House on a mutually agreeable date for this address when government has been opened." Trump later stated he would look for an alternative, but then retracted that statement in a pair of tweets announcing that he would wait until the end of the shutdown to give the address in the House Chamber. Trump announced a 3-week agreement to end the shutdown from the White House Rose Garden on January 25, 2019. On January 25, President Trump announced his support for a three-week funding measure that would reopen the government until February 15. The deal, which also moved forward with long-term Department of Homeland Security funding, did not include funds for a wall. As expected, the agreement provided federal employees with back pay. Both the Senate and House of Representatives passed the funding measure by voice vote, sending the resolution to the President's desk. Trump signed the bill the same day, ending the shutdown. Later in January, Republican senators voted unanimously against a bill to provide back pay to federal contractors. As of February 11, four days remained in the countdown to fully fund the Federal government. Short of agreement between House and Senate by February 15, the shutdown would then begin anew. A bipartisan group reached an agreement "in principle" on February 11 but Trump did not say whether he would sign it. Included was $1.375 billion for 55 miles of steel border fencing. Both houses passed the bill February 14 with enough votes to override a veto if that happened. On February 13, it was reported that, against the wishes of Democratic leaders and many Republicans, Trump was blocking the provision of back pay to federal contractors who were still out of pocket from the shutdown. Agencies funded by two "minibus" appropriations bills passed in September 2018 were not affected by the shutdown. About 380,000 federal employees were furloughed, and an additional 420,000 employees for the affected agencies were expected to work with their pay delayed until the end of the shutdown, totaling 800,000 workers affected out of 2.1 million civilian non-postal federal employees. As only about a quarter of the government was shut down, many people who are not federal employees did not fully realize the effects of the shutdown. Jobs affected included staff throughout the United States, not just DC area employees. FBI agents, federal corrections officers, FDA food inspectors, NASA employees, TSA staff, Border Patrol staff and CBP officers, census staff, National Park Service staff, members of the Coast Guard and Federal Aviation Administration air traffic controllers either worked without pay or were furloughed, with increasing numbers of unpaid essential employees failing to show up for work. On January 11, 800,000 workers for agencies shutdown or furloughed missed their first paycheck. Federal workers normally receive pay on federal holidays, which include Christmas, New Years Day and potentially Martin Luther King Jr. Day. The shutdown affected the employees' entitlement to paid holidays due to the shutdown. Unemployment assistance to federal workers furloughed under the government shutdown varied by locality. Only non-reporting workers were eligible for assistance, whereas furloughed workers who still reported to work were not. Workers who received unemployment assistance were required pay it back after the shut down ended and they received backpay. Some furloughed workers sought other employment opportunities while they were idled. However, external employment must meet agency-specific ethics guidelines, and mandatory reviews of external employment were also curtailed as most ethics officials were also furloughed. Federal employees were not able to use vacation or sick leave during the shutdown so scheduled holiday vacation time either became unpaid if the worker was deemed non-essential or was cancelled if the worker was deemed essential. In many cases unused leave over a certain threshold expired at year-end, but employees who had leave scheduled in advance of the shutdown did not have "use or lose" leave balances deducted from their accrued leave. Many furloughed employees took to crowd-funding campaigns to raise cash to replace missed paychecks, but these types of solicitations also run afoul of government ethics rules. As furloughed federal workers and their families shared stories of their hardships, such as not being able to meet rent or mortgage payments and missed bills, the hashtag "#ShutdownStories" went viral on social media. The federal government's Office of Personnel Management (OPM) responded by publishing sample letters that employees could send to their creditors. One read, in part, "I am a Federal employee who has recently been furloughed due to a lack of funding of my agency. Because of this, my income has been severely cut and I am unable to pay the entire cost of my mortgage, along with my other expenses." Other federal workers reached out to other news outlets to share stories about having to stretch their budgets and the impact of the shutdown on their families. In addition to being unable to meet rent or pay bills, many federal workers around the country were unable to pay for groceries and turned to food banks. One federal prison guard in Louisiana attempted suicide after posting about the financial pressures of the shutdown on Facebook. The OPM also suggested that employees who had landlords write: "I would like to discuss with you the possibility of trading my services to perform maintenance (e.g. painting, carpentry work) in exchange for partial rent payments" and suggested those who lacked funds to pay bills should hire personal attorneys to assist them. Other organizations also posted advice on how to "find supplemental income"; the Coast Guard suggested that Coast Guard members "have a garage sale, offer to watch children, walk pets or house sit" while furloughed. On January 4, The Washington Post reported that because the shutdown was triggered by the failure to enact spending bills that continued a federal government pay freeze, hundreds of senior Trump administration political appointees would receive a roughly $10,000 pay raise the following day. White House press secretary Sarah Sanders said the pending pay raise was an "unnecessary byproduct of the shutdown." On January 10, the Senate approved by unanimous consent a bill (S.24, the Government Employee Fair Treatment Act of 2019) providing that furloughed federal employees would receive back pay for the period of the furlough once appropriations were restored; the bill was approved the next day by the House on a vote of 411–7. Trump signed the bill into law on January 16. Native American tribes were not paid for treaties negotiated with the United States government. These treaties specifed that the federal government must provide funding for health clinics, employee salaries, education, infrastructure and other services, which were not paid during the shutdown. Native lands are "owned, managed and maintained by the federal government." Native Americans who receive a per capita check for profits from oil and gas sales from tribal land will not receive their next check in February. Roads were not plowed on tribal land, and some areas received significant snowfall. This caused people of the Navajo Nation to become trapped inside their homes. Food services, which fed 90,000 Native Americans in 2017, were halted. Native American communities had a high percentage of individuals who worked for the federal government and lost income during the shutdown. In North and South Dakota, one of the largest employers is the Indian Health Service. The Chippewa tribe reported an economic loss of nearly $100,000 daily in funds that the federal government was supposed to provide as a treaty obligation. The Bureau of Indian Affairs (BIA) was closed for the shutdown. However, 60 percent of the Indian Health Service (IHS) continued to work without pay. IHS provides care for 2.2 million Native Americans and on January 23, began to deny care that was not considered "life threatening." The Bureau of Indian Education was able to stay open because it was funded on a different schedule. Unlike other government shutdowns, there was little outreach from the Trump Administration to Native Americans and the Chippewa tribe in Michigan was given a 24-hour notice that the shutdown would take place and affect the tribe. The only military branch that was affected by the shutdown was the Coast Guard because it was part of the Department of Homeland Security, while the Navy, Army, Air Force, and Marine Corps were all funded through the Department of Defense. Officials were able to fund payment on December 31, 2018, but were not able to do so for the paychecks of January 15 and 30, 2019, along with the pay and benefits for civilian workers and retirees. During the shutdown, the Coast Guard continued to engage in patrolling the American coastline and carrying out overseas missions in locations such as the Persian Gulf along with the Navy and in the Caribbean. Other issues arose in the payment processes for Coast Guard members Tricare Health and Dental Program payments, although the individuals were still covered. Military schools, such as the Coast Guard Academy and the National War College, lost funding due to the shutdown and the schools had to work to find funds to pay professors. Although the Department of Defense was not shut down, the February 4, 2019 date for release of the Pentagon's 2020 budget was delayed by at least one month. This had repercussions on the interim period which is usually used by Pentagon planners for adjustments before the 2020 fiscal year which will begin in October 2019. The White House Office of Management and Budget, which oversees the Pentagon request, was shut down when the Pentagon budget arrived in December, and remained inactive, so no work was done on the budget. On 25 February 2019, the Pentagon's counter-drug (interdiction) funding has up to $85 million not yet obligated, but that money was planned for the known corridors in El Paso, Tucson, Yuma, and El Centro for border fencing, lighting, and road projects, so any funds which might possibly be intended for additional projects elsewhere along the border must be obligated by 30 September 2019, in order not to affect the known corridors. Otherwise appropriations above the $85 million not yet obligated for additional interdiction border projects will have to be approved by additional Congressional appropriations, to reach the $2 billion target. The Congressional Budget Office estimated the total cost of the shutdown to be $11 billion. An analysis from Standard & Poor's (S&P) released on January 11 reported that the shutdown had cost the U.S. economy $3.6 billion. The White House's Council of Economic Advisers estimated on January 15 that the shutdown reduced economic growth by 0.13 percentage points each week, for a total hit to economic growth of 0.5 percentage points. The furloughing of 145,000 federal workers and 112,500 federal contractors in the Washington Metropolitan Area cost the regional economy $119 million each day, or 7.3% of the region's total output. That reduced GDP by over $2.8 billion in the Washington DC area alone. The shutdown also had a noticeable impact on hunger in the national capital region: food pantries in Washington DC and Northern Virginia reported an increase of around 10% in the number of people coming to pick up groceries, with most of that increase coming from federal workers and contractors. Fitch Ratings warned that an extended shutdown might lead to a downgrade in the U.S.'s Triple-A credit rating if lawmakers were unable to pass a budget or manage the debt ceiling. That in turn would make borrowing more costly for companies and American households, because it is the benchmark for many other lines of credit. The only time the U.S. credit rating has been downgraded by S&P was during the United States debt-ceiling crisis of 2011. Some economists believed that an extended shutdown would weaken consumer confidence and heighten the risk of pushing the U.S. economy into a recession. Between 800,000 federal government employees and some 4 million federal contractors, the shutdown directly affected nearly 3% of the labor force of the United States; in a typical recession, unemployment increases 2–4%. The reduction in spending by those households combined with the reduction of government services could have macroeconomic results similar to a typical recession. The shutdown had an adverse effect on the budgets of state and local governments, as states covered some federal services (particularly the most vulnerable) during the shutdown. 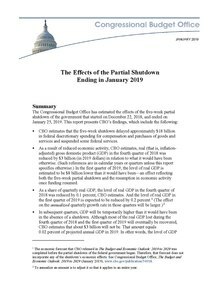 By mid-January 2019, the White House Council of Economic Advisors estimated that each week of the shutdown reduced GDP growth by 0.1 percentage points, the equivalent of 1.2 points per quarter. CEA chairman Kevin Hassett later acknowledged that GDP growth could decline to zero in the first quarter of 2019 if the shutdown lasted the entire quarter. The Congressional Budget Office estimated the shutdown cost the American economy at least $11 billion, excluding indirect costs that were difficult to quantify. As tax season began in the United States on January 28, some 46,000 Internal Revenue Service workers were called back to work to ensure tax refunds and returns were not affected by the shutdown. The recalled workers allowed the department to continue operations that were automatic and those deemed necessary for the safety of human life or protection of government property, such as processing electronic returns, returns with payments, mailing tax forms, appeals, criminal law enforcement investigations and technical support. During the shutdown, 95% of federal staff for the USDA's Food and Nutrition Services were furloughed. The Supplemental Nutrition Assistance Program (SNAP), the food-stamp program, could be funded through a $3 billion contingency fund appropriated by Congress in 2018; if the shutdown had continued through March 2019, those funds would have been exhausted, leaving some 38 million Americans without food stamps and endangering food security. Concerns were raised that continuation of the shutdown could delay the issuance of some $140 billion in tax refunds from the Internal Revenue Service (IRS). The Food and Drug Administration (FDA) oversees most of the food supply in the U.S. In early January, Dr. Scott Gottlieb, the FDA commissioner, reported that the FDA suspended food inspections. He noted that inspection of foreign food was continuing as "almost normal," because they are considered vital. Around January 14, "high-risk" food inspections resumed. As of January 22, 2019, 46 percent of the FDA were working, though 20 percent of them were working without pay. During the shutdown, two new recalls for contamination with Listeria or Salmonella took place. Consumer advocacy groups advised of food safety issues during the shutdown. Food safety attorney, Bill Marler, advocated against eating "fresh, uncooked products on the market place." Because there was a shortage of FDA inspectors, many imported perishable items, such as produce or flowers, were at risk of spoilage. Meat and some egg products are inspected by the USDA's Food Safety and Inspection Service. Federal legislation required those inspectors to remain working without pay. School administrations raised concern about how to feed children who purchase food at the schools for lunch, as funding concerns caused some districts to conserve food and funding. Many limited the amount or variation of foods available for the children to purchase, and alerted parents to the concerns and the limited availability of some of the items. Most schools affected were in high-poverty areas, and depended on federally funded lunch programs, such as the Community Eligibility Provision (CEP) a federal grant established by the Healthy, Hunger-Free Kids Act of 2010 and operated through the Department of Agriculture. Some 22 million students in nearly 100,000 schools received school meals through that operation. As with the January 2018 shutdown, national parks were expected to be open to the extent practical, though there would be no staff and buildings would be closed. The shutdown affected national parks unevenly, some were accessible with bare-bones staffing levels, some operated with money from states or charitable groups, and others were locked off. Diane Regas, president and chief executive of the Trust for Public Land, called upon Trump to close all national parks to protect the public: by the third week of the shutdown, three people had died in national parks. This number was reported as being within 'usual' levels. At Yosemite National Park, on January 4, 2019, a death from a fall went unreported for a week. By January 1, 2019, the problems of neglected trash pileup, overflowing public toilets, and access to first aid were repeated across the Park system. Health and safety concerns were raised, with concerns by scientists that the expansive amount of garbage and human waste could impact water and soil quality, or cause damage to animals in the parks. Other issues that arose due to the shutdown included illegal campsites, protected agriculture being damaged, damaging of government property and trespassing on foot and by vehicle. New York kept the Statue of Liberty and Ellis Island open, as it did during the January 2018 shutdown. Arizona and Utah were able to keep Grand Canyon National Park, Zion National Park, Arches National Park, and Bryce Canyon National Park open and provided services including public restrooms, shuttles and trash collection. Utah’s funding included visitor centers. The sites closed outright in the southwest alone included Bandelier National Monument and Valles Caldera National Preserve in northern New Mexico, White Sands National Monument in southern New Mexico, Petrified Forest National Park in northern Arizona and Casa Grande Ruins National Monument in south-central Arizona. Access to major parts of Sequoia and Kings Canyon parks were closed, and at Joshua Tree National Park, the administration policy of leaving parks open to visitors despite the staff furloughs resulted in park damage, including the toppling of protected trees. In Texas, Big Bend National Park had no visitor services, such as restrooms. Some trailheads were closed. Regulations continued to be enforced, as the park remained open. Visitors were reminded to remove their own trash and toilet paper. The Alamo remained open but no NPS services were available at the San Antonio Missions National Historical Park. Channel Islands National Park remained open to public access, although services normally provided by the national park service were instead provided by Island Packers Cruises, the company normally in charge of ferries to the islands. The National Archives and Records Administration closed immediately on December 22, 2018. The Library of Congress, the U.S. Botanic Garden, the Capitol Visitor Center, and the U.S. Capitol Building remained open as they were funded by the 2019 Legislative Branch appropriations bill. The Smithsonian Institution operated on "prior-year funds" through January 1, 2019. On January 2, 2019, the Smithsonian Institution initiated an orderly shutdown of all its facilities, including 19 museums in Washington, D.C., and New York City, the National Zoo, and the Smithsonian Conservation Biology Institute. The following day, the National Gallery of Art was closed. The National Zoo also closed on January 3, 2019. Tourism attendance on the National Mall was affected. On January 5, 2019, acting Interior Secretary David Bernhardt directed the diversion of fee revenue defined by the Federal Lands Recreation Enhancement Act to be used to fund minimal maintenance activities so as to preserve access to highly-visited parks. According to a January 12, 2019, article in The Economist, on January 11, the Transportation Security Administration (TSA) was unable to pay its workers who had not been paid since December 22; 55% more of them called in sick than in January 2018. As the air traffic controllers were deemed essential employees, they were required to work without pay. The National Air Traffic Controllers Association, the union that represents air traffic controllers, filed a lawsuit against the federal government for the shutdown on January 11, 2019, claiming that requiring 16,000 air traffic controllers to work without being paid violated their constitutional rights and federal minimum wage law. That was the third lawsuit filed against the federal government since the beginning of the shutdown. Airline and aircraft safety inspectors, on the other hand, were deemed nonessential and furloughed. A news report on January 12, 2019 stated that the Federal Aviation Administration had returned 500 furloughed safety inspectors back to work and would return more to work in the following weeks. As the airline and aircraft safety inspectors were furloughed, the certification process of the Airbus A220 in the US was stalled. Delta Air Lines was forced to delay the launch of the new aircraft, and to use other models of aircraft to serve those routes that was supposed to be served with A220. Many TSA employees also called out sick, most of them because they were trying to find other jobs that would provide immediate paychecks. The shutdown initially prevented the National Transportation Safety Board from assisting the Mexican government's investigation of the 2018 Puebla helicopter crash that killed a state governor and senator; an exception allowed the NTSB to assist with the Mexican government in the investigation along with the Transportation Safety Board of Canada. The NTSB also had to delay several investigations until the government reopened and only continued investigations into accidents that were considered the most serious. Issues in receiving certification and oversight from the FAA led to a month-long delay in the commencement of passenger service at Paine Field in Everett, Washington. As the shutdown continued into its fourth week, the unions representing airline pilots, flight attendants and air traffic controllers issued a statement asserting, "we cannot even calculate the level of risk currently at play" because of the shutdown. Some airports such as the Philadelphia International Airport, launched food and item donations for federal employees who were affected by the shutdown. Other airports such as the Miami International Airport, and the George Bush International Airport, closed down terminals in order to spread out the TSA workers that were available. On January 25, flights destined for LaGuardia Airport in New York were halted to a groundstop by FAA officials due to staffing shortages directly as a result of the shutdown. As a result, several flights to and from neighboring airports in the Northeast, specifically Philadelphia and Newark, suffered significant delays of their own. The shutdown delayed software updates to the Boeing 737 MAX airplane which may have caused the crash of Ethiopian Airlines Flight 302. During the shutdown, court-appointed private lawyers who represent indigent defendants worked without pay. The Federal Judiciary initially had a goal of sustaining paid operations through January 18, 2019. It said it would run out of money to sustain court operations no earlier than January 25, but perhaps as late as February 1. Failing funding, the Judiciary would operate under the terms of the Antideficiency Act. This Act does not allow federal agencies to expend federal funds before an appropriation, nor to accept any voluntary services. The judiciary had 33,000 employees nationwide. Under the Constitution, Supreme Court Justices, appeals court judges and district judges would continue to be paid. The shutdown caused many delays and disruptions in cases. Budgets were watched carefully to be able to pay public defenders, DNA testing, informants, and travel costs to interview victims and witnesses. Staffing issues also brought about concerns and constraints with prisons lacking the staff to safely hold attorney-client visits, and caused a delay in bail hearings. Video released by the FBI for FBI staff, released on January 25, 2019. Video from Voice of America. Agents of the Federal Bureau of Investigation (FBI) revealed in a report released on January 22, 2019, by the FBI Agents Association, that several different investigations were compromised by the shutdown. The report was called "Voices from the Field" and was 72 pages long. FBI agents were unable to pay Confidential Human Sources which risks losing that informant permanently. Some FBI divisions no longer have Spanish-speaking staff on hand and could not work with informants who only speak Spanish. Some agents reported that they did not have the funds to assist in joint operations with local law enforcement. Federal law enforcement agencies working on Native American land worked without pay through the shutdown. The Department of Homeland Security (DHS) was forced to cancel a trip to the United States/Mexico border in early January due to the shutdown. DHS was also unable to inspect Immigration Customs Enforcement (ICE) facilities during the shutdown to ensure that immigrants were being held in facilities appropriately. During the shutdown, the federal government's e-Verify system—a system for employers to check the eligibility of their employees to work in the United States—was halted. During the shutdown, a wave of Domain Name System (DNS) attacks on government sites was detected by Homeland Security. The attacks were serious because these Internet sites could be hijacked. Official websites for agencies were rendered insecure or inaccessible through the shutdown, as the expired digital certificates were not renewed. On January 23, DHS asked all government agencies to secure their DNS records; however, many agencies were not able to respond quickly to this request. Executive and legislative affairs of the local government of the District of Columbia continued operating through the shutdown, due to a provision previously enacted as part of the Consolidated Appropriations Act, 2017. The District's local court system, including the Superior Court of the District of Columbia and the District of Columbia Court of Appeals, are part of the federal judiciary. Thus, they were partially shut down, preventing District residents from accessing services such as marriage licensing. The District of Columbia government said it would take over trash collection and snow plowing operations for National Park Service facilities in Washington. The shutdown also interfered with the response to the 2018 Sunda Strait tsunami, as the U.S. Embassy in Jakarta's Twitter account was unable to tweet updates, and the United States Geological Survey was unable to provide data on the tsunami. The American weather model, the GFS, suffered a significant drop in forecast quality when a data format change during the shutdown prevented certain weather data from being recognized by the GFS, and the shutdown prevented the bug from being corrected. By mid-day Thursday, January 3, 2019, the FCC had suspended operations. FCC Chairman Ajit Pai canceled his trip to the Consumer Electronics Show. The FTC also suspended certain online operations. 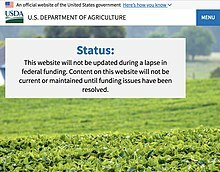 The EPA and Department of Energy's Energy Star website was not available for the duration of the shutdown. Makers of alcoholic beverages were unable to receive approval from the Alcohol and Tobacco Tax and Trade Bureau for new labels and recipes during the shutdown. Based on the recalculation of their operating reserves, the US Patent and Trademark Office (USPTO) would have had to cease patent operations in the second week of February. A cadre of personnel was allocated to continue receiving patent applications, receive payments, and maintain the IT infrastructure. Even though the USPTO is self-funded, a Congressional appropriation is required to permit the USPTO to spend money. The pipeline of patent applications at the time took 15.8 months for a response from an examiner. American Federation of Government Employees protest on January 10 in D.C.
On January 10, the American Federation of Government Employees, along with several other unions, announced plans to protest the government shutdown at 1:00pm EST in Washington, DC. Leaders of the National Federation of Federal Employees stated they had hoped that bringing federal workers to the President's doorstep would show him that it was the individual workers that the shutdown was hurting the most. President Trump had left to visit the US–Mexican border in Texas earlier in the day. Similar protests took place in Philadelphia and St. Louis, among other cities. On January 15, representatives for Veterans of Foreign Wars, Disabled Veterans of America, and Vietnam Veterans of America along with others called for an end to shutdown, but avoided placing any blame on political parties. Shortly after the protests, the American Federation of Government Employees sued the Trump administration to challenge the arrangements for work without pay during the shutdown. A similar suit was raised and won during the 2013 Federal Government shutdown. The Air Traffic Controllers Association also sued the Trump administration, as the shutdown allegedly violated the Fair Labor Standards Act by failing to pay the workers at least a minimum wage during the shutdown. As the salaries for members of Congress are written into permanent law and not funded through annual appropriations, the government shutdown did not affect their salaries. Senators and Representatives were still paid their biweekly salaries of $6,700 towards at least $174,000 a year. Several Democratic Senators and Representatives said they would donate their salary during the shutdown. Senator Catherine Cortez Masto indicated she would donate hers to a Nevada charity, Senator Mazie Hirono said she would donate her salary to Hawaii food banks, Massachusetts Senator Elizabeth Warren said she would give hers to refugee non-profit HIAS, New York Congressman Max Rose stated that he would give his salary to charity and outgoing Senator Heidi Heitkamp of North Dakota pledged hers to charity, along with her Republican colleague John Hoeven. Republican senator Kevin Cramer, who defeated Heidi Heitkamp in the 2018 midterm elections, refused to donate his salary, calling the move "gimmicky". Representative Brian Fitzpatrick urged all members of Congress to decline their paychecks. He said, "If you're in Congress, don't just delay your pay -- forfeit it, write a check back to the US Treasury. Then you'll feel the pain of federal workers." By January 17, 2019, 102 members of Congress—20 Senators and 82 Representatives— chose to decline their paychecks or were donating their paychecks to charity. During the shutdown, many federal workers used food banks and food pantries in order to feed themselves and their families. Many food pantries waived certain restrictions in order to help government workers have access to food. During the shutdown, the Salvation Army Emergency Disasters Services program provided meals for federal workers. Chef Jose Andres created the #ChefsForFeds program to feed federal workers in Washington, D.C. and by January 21, made announcements to expand the program nationwide. Some states such as California, offered furloughed employees unemployment benefits, although the Trump administration allegedly told states that they could not do so with federal funds. Organizations such as state Attorney Generals offices, and credit card companies posted statements to their websites to offer a means to help to consolidate debt, meet mortgages or other payments such as child support or tuition. An employment law firm offered pro bono legal advice to furloughed federal employees. School districts opened up free or reduced lunch options for children of federal employees, and looked into other options to aid parents amid concerns that financial stress at home would adversely affect families and children. Every mainline denomination in America has contributed to efforts to provide relief. One Baptist church emptied its entire disaster fund to aid federal employees. Lara Trump, a daughter-in-law of the President, drew outrage after an interview in which she stated that while "It's not fair to you..." the shutdown was "...a little bit of pain, but it's going to be for the future of our country, and their children and their grandchildren and generations after them will thank them for their sacrifice right now." Her comments drew criticism by politicians, celebrities, and the general public who felt the advisor and spokeswoman for the Trump 2020 campaign was out of touch, however Lara Trump later claimed the comments were taken out of context. In January 2019, a CNN poll conducted by SSRS found that 56% of the responding public opposed a wall while 39% favored it, and 45% viewed the situation at the border as a crisis. The numbers were similar to the poll in December 2018 yet a later poll by ABC news showed that as the partial shutdown entered its fourth week support for building a wall was increasing. A poll done through YouGov between December 23–25, 2018, reported that 51% of respondents thought Trump deserved "a lot" of the blame, 44% thought congressional Democrats and 39% thought congressional Republicans. Similar results were reported by a December 21–25 survey done by Reuters and Ipsos in which 47% of respondents said that the shutdown was the President's fault and 33% blamed Congressional Democrats. Over the course of the shutdown, Trump's approval rating marginally declined while his disapproval rating marginally increased. His net approval rating was by the middle of January 2019 at its lowest point since February 2018. On December 27, 2018, it was reported that Trump's approval rating of registered voters was at 39%, with 56% disapproval. Broken down the rating was split across party lines, with Republicans reporting an 80% approval rate while Democrats and independents reported a 90% and 57% disapproval rating, respectively. The poll was conducted through Morning Consult between December 21–23. The poll also reported that 43% of respondents blamed Trump for the shutdown, with 31% blaming congressional Democrats and 7% congressional Republicans. Another poll through The New York Times Upshot/Siena College reported that 89% of voters' views on Trump and the wall were aligned, suggesting that support for the wall was a function of support for Trump. The Washington Post–ABC News poll published on January 13, 2019, found that a larger number of Americans blamed Trump and congressional Republicans than congressional Democrats for the shutdown. A PBS NewsHour–Marist poll found that on January 15, 2019, a majority of Americans thought that President Trump was to blame for the shutdown. A January 2019 poll conducted by telephone for CBS News found that 70% of Americans polled did not want a government shutdown over the issue of building a border wall; 66% believed that Trump should agree to a budget without wall funding. 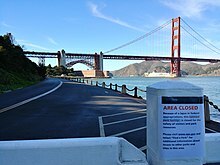 Wikimedia Commons has media related to United States federal government shutdown of 2018–2019. ^ Not including the February 2018 funding lapse related to the January 2018 shutdown. ^ "FY 2019 HHS Contingency Staffing Plan for Operations". U.S. Department of Health and Human Services Assistant Secretary for Financial Resources. September 25, 2018. Archived from the original on December 22, 2018. Retrieved December 22, 2018. ^ a b Connolly, Griffin (January 19, 2018). "D.C. Stays Open This Time Around — Even If Federal Government Shuts Down". Roll Call. Archived from the original on January 19, 2018. Retrieved January 20, 2018. ^ a b "This Couple Was Turned Away From Getting Their Marriage License In DC During The Government Shutdown". BuzzFeed News. Archived from the original on January 2, 2019. Retrieved January 3, 2019. ^ Pramuk, Jacob (January 25, 2019). "Trump signs bill to reopen government and end shutdown". Cnbc.com. Retrieved January 26, 2019. ^ Gates, Guilbert (January 9, 2019). "This Government Shutdown Is One of the Longest Ever". The New York Times. Retrieved January 10, 2019. ^ Koti, Karhu (January 26, 2019). "US Government Shutdown Timer". Karhukoti.com. Retrieved January 26, 2019. ^ Wamsley, Laurel (January 9, 2019). "How Is The Shutdown Affecting America? Let Us Count The Ways". NPR. ^ a b Mui, Ylan (January 28, 2019). "Government shutdown cost the economy $11 billion: CBO". Cnbc.com. Retrieved January 28, 2019. ^ Julie Hirschfeld Davis & Michael Tackett (January 2, 2019). "Trump and Democrats Dig In After Talks to Reopen Government Go Nowhere". The New York Times. Archived from the original on January 3, 2019. Retrieved January 3, 2019. ^ Damian Paletta & Erica Werner (January 2, 2019). "Trump falsely claims Mexico is paying for wall, demands taxpayer money for wall in meeting with Democrats". The Washington Post. Archived from the original on January 3, 2019. Retrieved January 3, 2019. ^ Liptak, Kevin (January 4, 2019). "Trump says he could keep shutdown going for months or years". CNN. Archived from the original on January 4, 2019. Retrieved January 4, 2019. ^ a b Ferris, Sarah; Bresnahan, John (December 20, 2018). "House and Senate on collision course as shutdown nears". POLITICO. Retrieved December 21, 2018. ^ Erica Werner, Damian Paletta & Seung Min Kim, House Democrats vote to reopen government and deny Trump wall money, defying veto threat, Washington Post (January 3, 2019). ^ Clare Foran & Ted Barrett, Mitch McConnell blocks Senate Democrats' move to reopen government, CNN (January 10, 2019). ^ Chait, Jonathan (January 23, 2018). "If Trump Gets a Ransom to End the Shutdown, He'll Do It Again and Again". New York Magazine. Retrieved January 23, 2018. ^ Stolberg, Sheryl Gay (January 23, 2019). "House Democrats Increase Border Offer to $5.7 Billion, if Government Opens". The New York Times. ISSN 0362-4331. Retrieved January 23, 2019. ^ "Democrats reiterate demand: Reopen the government before negotiations on border security". CNN. Retrieved January 23, 2019. ^ Savage, Charlie (January 7, 2019). "National Emergency Powers and Trumpâ€™s Border Wall, Explained". The New York Times. ISSN 0362-4331. Retrieved January 23, 2019. ^ a b Kheel, Rebecca (January 25, 2019). "Overnight Defense: Trump agrees to reopen government without wall funding | Senate approves stopgap spending measure | Dems ask Armed Services chair to block military funding for wall". TheHill. Retrieved January 25, 2019. ^ Stolberg, Sheryl Gay; Fandos, Nicholas; Baker, Peter (January 25, 2019). "Trump Agrees to Reopen Government for 3 Weeks in Surprise Retreat From Wall". The New York Times. ISSN 0362-4331. Retrieved January 25, 2019. ^ Jr, Perry Bacon (January 25, 2019). "Why Trump Blinked". FiveThirtyEight. Retrieved January 30, 2019. ^ Swanson, Steve Peoples and Emily. "Trump's approval rating sinks in new poll as he gets most of blame for shutdown". chicagotribune.com. Retrieved January 24, 2019. ^ a b c Salvanto, Anthony; De Pinto, Jennifer; Backus, Fred; Khanna, Kabir (January 23, 2019). "Pelosi has edge over Trump on budget negotiations, CBS News poll shows". CBS News. Retrieved January 23, 2019. ^ "Poll: Majority of Americans hold Trump and Republicans responsible for shutdown". The Hill. January 25, 2019. Retrieved January 25, 2019. ^ Baker, Peter; Cochrane, Emily; Haberman, Maggie (February 14, 2019). "Trump Plans National Emergency to Build Border Wall as Congress Passes Spending Bill". The New York Times. ISSN 0362-4331. Retrieved February 15, 2019. ^ Blitzer, Wolf; Trump, Donald (February 25, 2016). Donald Trump says he will make Mexico pay for wall (Television production). University of Houston: CNN. Retrieved January 20, 2019. ^ "Trump moves goalposts on border wall, says 500 miles of replacement fence would be good enough". Dallas News. December 25, 2018. Retrieved January 11, 2019. ^ Gabby Orr, From ‘wall' to ‘barrier’: How Trump’s vision for the border keeps changing, Politico (January 8, 2019). ^ Conradis, Brandon (September 26, 2018). "House passes $854B spending bill to avert shutdown". The Hill. Archived from the original on September 27, 2018. Retrieved September 28, 2018. ^ Bade, Rachael; Everett, Burgess (December 6, 2018). "Congress averts shutdown, postponing fight over Trump's wall". Politico. Archived from the original on December 6, 2018. Retrieved December 7, 2018. ^ a b Lindsey McPherson, $1.6 Billion for Border Security, Not Just Wall, Could Be Agreed To, Hoyer Says, Roll Call (December 4, 2018). ^ Liptak, Kevin (November 27, 2018). "GOP leaders say Trump remains firm on $5 billion wall funding request". CNN. Retrieved January 11, 2019. ^ Swanson, Ian (December 21, 2018). "Trump reverses, says Dems to blame for shutdown". TheHill. ^ Eliana Johnson; Burgess Everett; Rachael Bade (December 14, 2018). "Trump considers delaying border wall fight until January". Politico. Archived from the original on December 24, 2018. Retrieved December 23, 2018. ^ Sarah Ferris; Burgess Everett; Eliana Johnson (December 18, 2018). "GOP talks Trump off the shutdown ledge". Politico. Archived from the original on December 22, 2018. Retrieved December 23, 2018. ^ Erica Werner; Paul Kane; Josh Dawsey (December 19, 2018). "Senate passes bill to keep government open until February, undercutting Trump's drive for border wall funding". Th Washington Post. Archived from the original on December 24, 2018. Retrieved December 23, 2018. ^ a b Jason Schwartz (December 20, 2018). "Conservative media turns on Trump for going wobbly on the wall". Politico. Archived from the original on December 24, 2018. Retrieved December 23, 2018. ^ Eliana Johnson; Burgess Everett (December 20, 2018). "Pressure from base pushed a flustered Trump into shutdown reversal". Politico. Archived from the original on December 21, 2018. Retrieved December 23, 2018. ^ a b c Werner, Erica; Paletta, Damian; Wagner, John (December 21, 2018). "Partial government shutdown assured after lawmakers leave Capitol without budget deal". The Washington Post. Archived from the original on December 21, 2018. Retrieved December 21, 2018. ^ Burgess Everett (December 20, 2018). "'Can't make this stuff up': Senate GOP isn't sweating shutdown". Politico. Archived from the original on December 21, 2018. Retrieved December 23, 2018. ^ Andrew Restuccia; Eliana Johnson (December 21, 2018). "Trump to stay in Washington amid shutdown". Politico. Archived from the original on December 23, 2018. Retrieved December 23, 2018. ^ Cochrane, Emily; Medina, Jennifer (December 26, 2018). "As Shutdown Continues, Resolution May Depend on Definition of 'Wall'". The New York Times. ISSN 0362-4331. Archived from the original on December 27, 2018. Retrieved December 27, 2018. ^ "US shutdown looks set to drag through Christmas". BBC News. December 22, 2018. Archived from the original on December 24, 2018. Retrieved December 24, 2018. ^ Nicholas Fandos; Catie Edmondson (December 27, 2018). "With No Votes Scheduled, a Government Shutdown Will Greet the Democratic House". The New York Times. Archived from the original on December 28, 2018. Retrieved December 28, 2018. ^ "New Congress: House votes to reopen government but no end in sight to shutdown - live updates". Archived from the original on January 3, 2019. Retrieved January 4, 2019. ^ Swanson, Ian (January 3, 2019). "House passes legislation to re-open government despite opposition from Trump". TheHill. Archived from the original on January 4, 2019. Retrieved January 4, 2019. ^ a b Ashley Killough & Clare Foran, House passes bill to reopen IRS and other financial agencies, despite veto threat, CNN (January 1, 2009). ^ a b The Latest: House passes bill to fund agencies amid shutdown, Associated Press (January 9, 2019). ^ Final Vote Results for Roll Call 21, Office of the Clerk, United States House of Representatives (January 9, 2019). ^ a b c Ashley Killough, House passes bills to reopen Agriculture, Transportation departments, CNN (January 10, 2019). ^ a b c d Lindsey McPherson, Republican defections on House spending bills to end shutdown tick up, Roll Call (January 10, 2019). ^ McPherson, Lindsey; McPherson, Lindsey (January 11, 2019). "10 House Republicans cross aisle to support ending shutdown of Interior-Environment programs". Retrieved January 11, 2019. ^ Bresnahan, John; Ferris, Sarah (January 7, 2019). "House GOP leaders fear support eroding for Trump's shutdown fight". Politico. Retrieved January 8, 2019. ^ Balluck, Kyle (January 6, 2019). "House Democrats release bills to end shutdown". TheHill. Retrieved January 8, 2019. ^ Quigley, Mike (January 9, 2019). "H.R.264 - 116th Congress (2019-2020): Financial Services and General Government Appropriations Act, 2019". Congress.gov. Retrieved January 11, 2019. ^ "House passes bill that would end shutdown, but Senate unlikely to take up". news.yahoo.com. Retrieved January 11, 2019. ^ a b c d e "Trump ready for US shutdown to last 'for years'". BBC News. January 4, 2019. Archived from the original on January 4, 2019. Retrieved January 4, 2019. ^ John Bresnahan; Burgess Everett (January 4, 2019). "McConnell keeps his head down as government shutdown drags on". Politico. Archived from the original on January 4, 2019. Retrieved January 4, 2019. ^ Felicia Sonmez & Cat Zakrzewski, Pressure on Senate Republicans to break shutdown impasse grows, Washington Post (January 14, 2019). ^ Sheryl Gay Stolberg and Nicholas Fandos, McConnell Faces Pressure From Republicans to Stop Avoiding Shutdown Fight, New York Times (January 3, 2019). ^ a b c Nicholas Fandos; Michael Tackett (January 9, 2019). "Trump Storms Out of White House Meeting with Democrats on Shutdown". The New York Times. Retrieved January 9, 2019. ^ Manu Raju; Clare Foran (January 9, 2019). "Cracks emerging among Senate Republicans as Murkowski calls for end to shutdown". CNN. Retrieved January 19, 2019. ^ Swanson, Ian (January 15, 2019). "McConnell blocks House bill to reopen government for second time". The Hill. Retrieved January 16, 2019. ^ Jordain Carney, McConnell blocks bill to reopen most of government, The Hill (January 17, 2019). ^ Jordain Carney, McConnell blocks bill to reopen most of government, The Hill (January 23, 2019). ^ Shabad, Rebecca; Thorp V, Frank (January 22, 2019). "Senate to vote on competing bills to end government shutdown Thursday". NBC News. Retrieved January 23, 2019. ^ a b Carney, Jordain (January 22, 2019). "Senate to vote on dueling government funding bills". The Hill. Retrieved January 23, 2019. ^ Anapol, Avery (January 22, 2019). "Senate Dem introduces 'Stop Stupidity' act to end government shutdowns". Washington Post. Retrieved January 25, 2019. ^ Davis, Julie Hirshfeld (January 24, 2019). "Two Competing Plans to End Shutdown Fail in the Senate". New York Times. Retrieved January 25, 2019. ^ Daniel, Annie; Lee, Jasmine C.; Simon, Sara (January 24, 2019). "How Every Senator Voted on Ending the Government Shutdown". The New York Times. ^ Collins, Michael; Collins, Eliza; Jackson, David; Fritze, John (January 24, 2019). "Government shutdown 2019: 'A glimmer of hope' that standoff may end". USA Today. Retrieved January 25, 2019. ^ a b c Annie Karni & Maggie Haberman, President Trump Rejects Proposal to Temporarily Reopen the Government, New York Times (January 14, 2019). ^ "Trump says he could keep shutdown going for months or years". CNN. January 4, 2019. Archived from the original on January 4, 2019. Retrieved January 6, 2019. ^ "Trump says he is considering using emergency powers to build wall". CNN. January 4, 2019. Archived from the original on January 5, 2019. Retrieved January 6, 2019. ^ "Trump to visit border, make prime-time speech in PR blitz for border wall". ABC News. January 7, 2019. Retrieved January 8, 2019. ^ "Major networks will carry Democratic response to Trump immigration speech". NBC News. January 8, 2019. Retrieved January 8, 2019. ^ a b c Philip Rucker & Felicia Sonmez, Trump calls wall only solution to 'growing humanitarian crisis' at border, Washington Post (January 8, 2019). ^ a b "Trump walks out of shutdown talks with a 'bye-bye'". BBC News. January 9, 2019. Retrieved January 9, 2019. ^ Kessler, Glenn (January 15, 2019). "Analysis | What really happened in the White House Situation Room?". Washington Post. Retrieved January 16, 2019. ^ Burke, Michael (January 10, 2019). "Trump: 'Cryin Chuck' Schumer lied about 'temper tantrum'". TheHill. Retrieved January 11, 2019. ^ Bowden, John (January 9, 2019). "Pence says Trump 'passed out candy' and didn't raise his voice in shutdown meeting". TheHill. Retrieved January 11, 2019. ^ "Pelosi: Yesterday's White House meeting was staged so Trump "could walk out"". CNN. January 10, 2019. Retrieved January 10, 2019. ^ Jackson, David (January 14, 2019). "President Trump says he rejected plan to reopen the government to negotiate border wall". USA Today. Retrieved January 14, 2019. ^ Manu Raju (January 10, 2019). "Facing gridlock, GOP senators seek big immigration deal to end shutdown". CNN. Retrieved January 19, 2019. ^ "Department of Homeland Security-Border Security Metrics Report-May 2018" (PDF). Dhs.gov. Retrieved January 19, 2019. ^ a b c d Annie Karni & Sheryl Gay Stolberg. "Trump Offers Temporary Protections for 'Dreamers' in Exchange for Wall Funding". New York Times. ^ a b c d e f Joel Rose, The Border Wall Isn't The Only Reason Democrats Oppose Plan To End The Shutdown, NPR (January 22, 2019). ^ a b Ted Hesson, Republicans load spending bill with hard-line measures targeting asylum, Politico (January 22, 2019). ^ Collins, Michael (January 19, 2019). "'It's anyone's guess what happens next': Democrats shoot down Trump's plan to end shutdown". USA Today. Retrieved January 19, 2019. ^ Michael Tackett, Trump Again Warns He May Declare National Emergency to Build Wall, New York Times (January 9, 2019). ^ a b c d Charlie Savage, Trump's Emergency Powers Threat Could End Shutdown Crisis, but at What Cost?, New York Times (January 9, 2018). ^ a b c Michael Tackett & Julie Hirschfeld Davis, White House Considers Using Storm Aid Funds as a Way to Pay for the Border Wall, New York Times (January 10, 2018). ^ Jordyn Phelps, Luis Martinez, Benjamin Siegel, Trump directs Army Corps of Engineers to find money to help fund border wall: Sources, ABC News (January 10, 2019). ^ a b Courtney Kube & Julia Ainsley, Trump could take billions from disaster areas to fund wall, NBC News (January 10, 2019). ^ Eli Watkins, Manu Raju and Elizabeth Landers, Trump: 'May declare a national emergency' to build wall, CNN (January 7, 2019). ^ Bruce Ackerman, No, Trump Cannot Declare an 'Emergency' to Build His Wall, New York Times (January 5, 2019). ^ "Donald Trump can call a 'national emergency,' but that doesn't mean he can build the wall". USA TODAY. Retrieved January 25, 2019. ^ "Trump says not in a rush to declare emergency in border wall fight". Reuters. January 11, 2019. ^ "Trump vents fury over Russia stories and again threatens national emergency". The Guardian. January 12, 2019. ^ Davis, Julie Hirschfeld; Fandos, Nicholas (January 16, 2019). "Pelosi Asks Trump to Reschedule State of the Union Amid Shutdown". The New York Times. Retrieved January 16, 2019. ^ Wang, Amy B. (January 16, 2019). "Will the State of the Union be postponed? That hasn't happened since the Challenger disaster". The Washington Post. Retrieved January 16, 2019. ^ Karno, Annie (January 17, 2019). "Trump Hits Back at Pelosi, Threatening Her Trip to See Troops". The New York Times. ^ a b c Haberman, Maggie; Stolberg, Sheryl Gay; Davis, Julie Hirschfeld (January 23, 2019). "Trump to Explore Venue Alternatives for State of the Union". The New York Times. Retrieved January 23, 2019. ^ Seung Min Kim & Felicia Sonmez, Pelosi tells Trump: No State of the Union address in the House until government is reopened, Washington Post (January 23, 2019). ^ Donald Trump [@realDonaldTrump] (January 23, 2019). "As the Shutdown was going on, Nancy Pelosi asked me to give the State of the Union Address. I agreed. She then changed her mind because of the Shutdown, suggesting a later date. This is her prerogative - I will do the Address when the Shutdown is over. I am not looking for an..." (Tweet) – via Twitter. ^ Donald Trump [@realDonaldTrump] (January 23, 2019). "....alternative venue for the SOTU Address because there is no venue that can compete with the history, tradition and importance of the House Chamber. I look forward to giving a "great" State of the Union Address in the near future!" (Tweet) – via Twitter. ^ Babcock, Jenny (January 25, 2019). "Trump Says He Will Sign Short-Term Deal To Reopen Government After 35-Day Shutdown". 90.7 WMFE. Retrieved January 25, 2019. ^ Swanson, Ian (January 25, 2019). "Trump agrees to end shutdown without wall funding". The Hill. Retrieved January 25, 2019. ^ Carney, Jordain (January 25, 2019). "Congress votes to reopen government after Trump agrees to end shutdown". The Hill. Retrieved January 25, 2019. ^ Gambino, Lauren (January 25, 2019). "Trump signs bill to end shutdown and temporarily reopen government". Retrieved January 25, 2019. ^ "GOP rejects bill to give back pay to federal contractors, wants to repeal estate tax instead". Salon. January 29, 2019. Retrieved February 1, 2019. ^ a b "Border Security Funding Talks Stalled, Government Shutdown Looms". NPR.org. Retrieved March 12, 2019. ^ CNN, Ted Barrett, Phil Mattingly, Manu Raju, Ashley Killough, Clare Foran and Kaitlan Collins. "Negotiators say they reached an agreement in principle to avert shutdown". CNN. Retrieved March 12, 2019. ^ "Trump: I don't think you're going to see a shutdown". Cnn.com. February 12, 2019. Retrieved March 12, 2019. ^ "Shutdown deal includes money for steel border fencing, but no concrete wall". Koaa.com. February 12, 2019. Retrieved March 12, 2019. ^ Collins, Eliza; Fritze, John; Collins, Michael (February 11, 2019). "Government shutdown: Lawmakers reach agreement 'in principle' to avoid shutdown as Friday deadline looms". Asheville Citizen-Times. Retrieved February 12, 2019 – via USA Today. ^ Fram, Alan; Lucy, Catherine; Taylor, Andrew (February 14, 2019). "Congress OKs border deal; Trump will sign, declare emergency". Salisbury Post. Associated Press. Retrieved February 15, 2019. ^ "Trump blocking contractor back pay in gov't funding deal, lawmaker says". NBC News. Retrieved March 12, 2019. ^ Wagner, John; Dawsey, Josh; Paletta, Damian (February 15, 2019). "Shutdown averted: President Trump has signed a sweeping spending bill hours before funding expired for parts of the government". Washington Post. ^ Pramuk, Jacob; Wilkie, Christina (February 15, 2019). "Trump declares national emergency to build border wall, setting up massive legal fight". CNBC. Retrieved February 15, 2019. ^ Staff (February 14, 2019). "1,159-page bipartisan border compromise completed, Dems worry Trump could blow up deal". Fox News. Retrieved February 15, 2019. ^ Kaufman, Ellie; Murphy, Paul P. (January 2, 2019). "Federal employees prepare for a long shutdown". CNN. Retrieved January 19, 2019. ^ Bosman, Julie; Cohen, Patricia; Turkewitz, Julie (January 11, 2019). "Federal Shutdown's Uneven Toll: Some Americans Are Devastated, Others Oblivious". The New York Times. ISSN 0362-4331. Retrieved January 13, 2019. 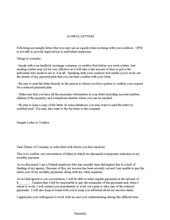 ^ "Sample letters for creditors and mortgage companies". Opm.gov. Archived from the original on January 1, 2019. Retrieved January 3, 2019. ^ "U.S. House Passes Bill to Reopen Some Agencies Shut Down in Wall Fight". New York Times. January 11, 2019. Retrieved January 12, 2019. ^ "Federal workers miss first paycheck as shutdown poised to become longest in U.S. history". NBC News. Retrieved January 12, 2019. ^ "Pay, Shutdown Procedures Complicated by Impending Holidays". Government Executive. ^ "Federal Workers Affected By Government Shutdown Turn To Unemployment Benefits | Bankrate.com". Bankrate. ^ "Ethics Considerations, Including Outside Employment, During a Furlough". Doi.gov. February 8, 2018. Retrieved January 16, 2019. ^ "Moonlighting Feds Could Be Risking Their Jobs". Nextgov.com. Retrieved January 16, 2019. ^ "Feds Impacted by Shutdown Can Roll Over 'Use-or-Lose' Leave, OPM Clarifies". Government Executive. Retrieved January 16, 2019. ^ "Use-or-Lose Leave and the Partial Shutdown". FedSmith.com. January 10, 2019. Retrieved January 16, 2019. ^ PM, Christina Zhao On 1/9/19 at 5:18 (January 9, 2019). "Furloughed federal workers resort to crowdfunding as government shutdown drags on: "My mortgage is due"". Newsweek. Retrieved January 16, 2019. ^ "Feds' GoFundMe campaigns open a 'minefield' of ethical questions during shutdown". Federal News Network. January 8, 2019. Retrieved January 16, 2019. ^ Alex Lubben (December 27, 2018). "Government workers are sharing their #shutdownstories on social media. They're grim". Vice News. Archived from the original on December 28, 2018. Retrieved December 29, 2018. ^ Mariana Alfaro (December 25, 2018). "Federal employees affected by the government shutdown are using the Twitter hashtag #ShutdownStories to share their hardships". MSN Business Insider. Archived from the original on December 30, 2018. Retrieved December 29, 2018. ^ Taylor, As told to; rews (January 11, 2019). "My Family Is Surviving on Canned Spaghetti Because of the Government Shutdown". Cosmopolitan. Retrieved January 11, 2019. ^ Ebbs, Stephanie (January 15, 2019). "Unpaid federal workers get help from food banks during government shutdown". ABC. Retrieved January 15, 2019. ^ "How The Government Shutdown Is Affecting This Louisiana Town". NPR.org. ^ Sarah Harvard (December 28, 2018). "Trump admin suggests federal employees paint landlords' properties during shutdown to afford rent". The Independent. Archived from the original on December 29, 2018. Retrieved December 29, 2018. ^ Doha Madani (December 27, 2018). "800,000 government workers may need financial assistance as shutdown continues". NBC News. Archived from the original on December 29, 2018. Retrieved December 29, 2018. 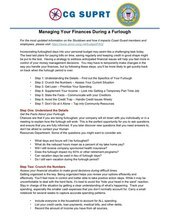 ^ "Coast Guard shutdown tip sheet suggests holding garage sale". WPVI-TV. January 11, 2019. ^ "While federal workers go without pay, senior Trump administration officials are poised to get $10,000 raises". Archived from the original on January 5, 2019. Retrieved January 5, 2019. ^ Eric Yoder, Congress approves back pay — eventually — for furloughed federal employees, Washington Post (January 11, 2018). ^ Smith, Ian (January 10, 2019). "Senate Passes Bill to Pay Federal Employees After Shutdown". FedSmith.com. Archived from the original on January 15, 2019. Retrieved January 15, 2019. ^ Vazquez, Maegan (January 16, 2019). "Trump signs law ensuring shutdown pay for government workers". CNN. ^ a b Smith, Mitch; Turkewitz, Julie (January 1, 2019). "Shutdown Leaves Food, Medicine and Pay in Doubt in Indian Country". The New York Times. ISSN 0362-4331. Retrieved January 23, 2019. ^ a b c d e Ramstad, Evan (January 21, 2019). "Shutdown hitting reservations harder than most places". Duluth News Tribune. Retrieved January 23, 2019. ^ a b c d e Avent, Quashon (January 23, 2019). "Native Americans and the Government Shutdown: The government's legacy of broken promises". THE CAROLINIAN. Retrieved January 23, 2019. ^ Edwards, Melodie (January 13, 2019). "Government Shutdown Impacts Native American Tribes In Wyoming". NPR. Retrieved January 23, 2019. ^ a b c Byrd, Ayana (January 2, 2019). "What the Government Shutdown Means for Native Americans". Colorlines. Retrieved January 23, 2019. ^ Woody, Christopher. "The only military branch affected by the government shutdown is about to miss its 2nd paycheck, and its leaders are sounding off". Business Insider. Retrieved January 23, 2019. ^ McLaughlin, Elizabeth (January 23, 2019). "Coast Guard deployed in Middle East, Pacific without pay during government shutdown". ABC News. Retrieved January 23, 2019. ^ January 21, Week of; Military.com, 2019. "How the Government Shutdown Impacts Tricare". Military.com. Retrieved January 23, 2019. ^ Mulaikal, Nirmal (January 23, 2019). "Shutdown hits two military educational institutions". Military Times. Retrieved January 23, 2019. ^ a b "Shutdown Snarls DoD's 2020 Budget; When Will Congress See It?". ^ a b News, A. B. C. (February 28, 2019). "How the Pentagon will find $2.5 billion for border security". ABC News. Retrieved March 12, 2019. ^ Stewart, Emily (January 14, 2019). "The economic cost of the shutdown will soon be the cost of the wall". Vox. Retrieved January 15, 2019. ^ Tankersley, Jim (January 16, 2019). "Shutdown's Economic Damage Starts to Pile Up, Threatening an End to Growth". The New York Times. ISSN 0362-4331. Retrieved January 16, 2019. ^ a b McCartney, Robert (January 15, 2019). "Discord hits D.C. hard". Express. ^ Stewart, Ian (January 13, 2019). "As Shutdown Continues, Thousands Of Federal Workers Visit D.C.-Area Pop-Up Food Banks". NPR. Retrieved January 15, 2019. ^ a b c "Fitch warns an extended shutdown could hurt the U.S. credit rating". Washington Post. ^ White, Ben (January 16, 2019). "Shutdown raises the risk of recession". Politico. Retrieved January 17, 2019. ^ Smith, Noah (January 16, 2019). "The Economy Can't Shrug Off the Shutdown Forever". Bloomburg. Retrieved January 17, 2019. ^ Liz Farmer, The Federal Shutdown's Impact on States and Localities, Governing (January 2, 2018). ^ Reid Wilson, States scramble to fill void left by federal shutdown, The Hill (January 17, 2019). ^ "White House doubles its estimate of shutdown impact on GDP". Cnbc.com. ^ Tankersley, Jim (January 15, 2019). "Shutdownâ€™s Economic Damage Starts to Pile Up, Threatening an End to Growth". Nytimes.com. ^ "Hassett: Shutdown could mean zero growth this quarter". Cnn.com. ^ "US tax refunds 'safe from shutdown'". January 8, 2019. Retrieved January 24, 2019. ^ Lopez, German (January 17, 2019). "Will the government shutdown affect tax refunds and returns? Maybe not". Vox. Retrieved January 24, 2019. ^ a b c Damian Paletta & Erica Werner (January 4, 2019). "Millions face delayed tax refunds, cuts to food stamps as White House scrambles to deal with shutdown's consequences". Washington Post. ^ Grace Segers. "Millions could face severe cuts to food stamps due to government shutdown". CBS News. ^ a b c Neal, David J. (January 22, 2019). "Is the FDA inspecting food during the shutdown? Here's what the commissioner says". Miami Herald. Retrieved January 22, 2019. ^ a b Goldschmidt, Debra; Scutti, Susan (January 16, 2019). "Are there foods you should avoid during the government shutdown?". CNN. Retrieved January 22, 2019. ^ Wile, Rob (January 20, 2019). "The next possible victims of the shutdown: Your food, flowers and toys". Miami Herald. Retrieved January 22, 2019. ^ Baker, Sinead (January 21, 2019). "SHUTDOWN DAY 31: Schools worry they won't be able to feed kids; White House thinks GDP growth could fall another 0.13 points this week". Business Insider. Retrieved January 24, 2019. ^ Reilly, Katie (January 19, 2019). "'We're in Uncharted Waters.' Schools Brace for Budget Problems if Shutdown Continues". Time. Retrieved January 24, 2019. ^ "Darryl Fears (4 January 2019) Three dead in national parks as shutdown wears on". Archived from the original on January 5, 2019. Retrieved January 5, 2019. ^ "7 people have died in national parks since the shutdown began. But that's not unusual". ^ Blumberg, Antonia (January 4, 2019). "Death At National Park Unreported For Week Amid Government Shutdown: Report". Huffington Post. Retrieved January 6, 2019. ^ Joyce, Kathleen (January 1, 2019). "Overflowing garbage, feces on roads prompt Yosemite National Park officials to close some campgrounds". Fox News. Archived from the original on January 2, 2019. Retrieved January 3, 2019. ^ a b c "National parks face overflowing trash, toilets in second week of shutdown". ABC News. January 2, 2019. Archived from the original on January 2, 2019. Retrieved January 3, 2019. ^ Hale, Tom (January 21, 2019). "National Parks Could Take Years To Recover From The Government Shutdown". IFLScience. Retrieved January 23, 2019. ^ Diaz, Andrea (January 12, 2019). "National park visitors cut down protected Joshua trees during partial government shutdown". CNN. Retrieved January 23, 2019. ^ a b "National parks rush to repair damage after shutdown". ABC News. February 1, 2019. Retrieved March 12, 2019. ^ "Operating Hours & Seasons - Statue Of Liberty National Monument (U.S. National Park Service)". National Park Service. Archived from the original on January 1, 2019. Retrieved January 3, 2019. ^ Walker, Ameena (January 22, 2018). "Amy Plitt (22 January 2018) Statue of Liberty will remain open during government shutdown". Ny.curbed.com. Archived from the original on January 1, 2019. Retrieved January 3, 2019. ^ "Shutdown Takes The Twinkle Out Of National Christmas Tree". Huff Post. Associated Press. December 25, 2018. Archived from the original on December 25, 2018. Retrieved December 25, 2018. ^ "Federal shutdown closes major portions of Sequoia and Kings Canyon National Parks". Los Angeles Times. January 1, 2019. ^ "Shutdown nightmare: Park bathrooms overflowing with human waste, vandals causing damage, fighting over campsites". NBC News. Archived from the original on January 2, 2019. Retrieved January 3, 2019. ^ Russo, Amy (January 12, 2019). "Vandals Topple Joshua Trees Amid Shutdown, Igniting Outrage". Huff Post. Retrieved January 13, 2019. ^ "Joshua Tree may not recover from 35-day shutdown for 300 years, former ranger says". modbee. Retrieved March 12, 2019. ^ "San Antonio Missions National Historical Park (U.S. National Park Service)". National Park Service. Archived from the original on November 26, 2018. Retrieved January 3, 2019. ^ Carlson, Cheri (December 22, 2018). "What shutdown means for Channel Islands National Park". Ventura County Star. Retrieved January 13, 2019. ^ a b "The Smithsonian and the National Gallery held on as long as they could. They're closing". The Washington Post. Archived from the original on January 2, 2019. Retrieved January 3, 2019. ^ Py-Lieberman, Beth. "Smithsonian Museums and the National Zoo Close for the U.S. Government Shutdown". Smithsonian. Retrieved January 3, 2019. ^ Berman, Mark; Rein, Lisa (December 21, 2018). "What will happen if the government shuts down: Late paychecks, closed museums and more". The Washington Post. Archived from the original on December 21, 2018. Retrieved December 21, 2018. ^ Andrew Russeth, National Gallery of Art Closes to the Public, Latest Victim of U.S. Government Shutdown Archived January 3, 2019, at the Wayback Machine, ARTnews (January 3, 2019). ^ a b Haslett, Cheyenne (January 3, 2019). "'Oh my God, there's no people': National Mall scene a symbol of shutdown's impact". ABC News. Archived from the original on January 3, 2019. Retrieved January 3, 2019. ^ "park-service-takes-extraordinary-step-dipping-into-entrance-fees-bolster-operations-popular-sites". Washington Post. January 6, 2019. Retrieved January 13, 2019. ^ "How America's government shutdown is affecting flyers". The Economist. January 12, 2019. ISSN 0013-0613. Retrieved January 12, 2019. ^ "Air traffic controllers' union sues over unpaid work during..." Reuters. January 11, 2019. Retrieved January 14, 2019. ^ The Associated Press (January 12, 2019). "FAA Bringing Back Safety Inspectors Sidelined by Shutdown". US News. Retrieved January 13, 2019. ^ "Delta postpones Airbus A220 launch due to U.S. government shutdown". Reuters. January 25, 2019. Retrieved January 27, 2019. ^ Marsh, Rene (January 4, 2019). "First on CNN: Hundreds of TSA screeners, working without pay, calling out sick at major airports". CNN. CNN. Retrieved January 18, 2019. ^ "Ante negativa de EU, México busca a Canadá y Europa para investigar accidente de Martha Erika" [After being turned down by the US, Mexico looks to Canada and Europe to investigate Martha Erika accident]. Animal Político. December 25, 2018. Retrieved December 26, 2018. ^ "Peritos canadienses inician investigación de accidente en Puebla". Animal Político (in Spanish). December 28, 2018. Retrieved January 11, 2019. ^ "Shutdown impact: FBI pay, NTSB accident investigations". PBS NewsHour. January 10, 2019. Retrieved January 11, 2019. ^ Mutzabaugh, Ben (January 22, 2019). "It's official: Debut of Paine Field passenger flights delayed by federal shutdown". USA Today. Retrieved January 22, 2019. ^ Josephs, Leslie (January 24, 2019). "Government shutdown sparks safety concerns among aviation workers". Cnbc.com. ^ "Airport collecting donations for federal workers during shutdown". 6abc Philadelphia. January 22, 2019. Retrieved January 23, 2019. ^ Juste, Carl (January 10, 2019). "As shutdown keeps TSA screeners home, Miami's airport is closing off a terminal". miamiherald. Retrieved January 23, 2019. ^ Stelloh, Tim (January 14, 2019). "Terminal at Houston airport closed amid government shutdown". NBC News. Retrieved January 23, 2019. ^ Campbell, Andy (January 25, 2019). "FAA Halts Some Flights to LaGuardia Airport, Citing Staffing Shortage". HuffPost. Retrieved January 25, 2019. ^ Sanchez, Ray (January 25, 2019). "Flights delayed at major Northeast US airports because of staffing, FAA says". CNN. Retrieved January 25, 2019. ^ Tangel, Andrew; Pasztor, Andy (March 12, 2019). "Boeing to Make Key Change in 737 MAX Cockpit Software". Wall Street Journal. ISSN 0099-9660. Retrieved March 28, 2019. ^ a b c d Kaplan, Thomas (January 18, 2019). "Federal Courts, Running Out of Money, Brace for Shutdown's Pain". Nytimes.com. ^ a b "(January 7, 2019) Judiciary Operating on Limited Funds During Shutdown". Uscourts.gov. Retrieved January 11, 2019. ^ Blum, Vanessa; January 18, Leigh Jones; PM, 2019 at 01:38. "Shutdown Meltdown: What It Means for Law Firms and the Courts". Law.com. ^ "Antideficiency Act Resources". Gao.gov. Retrieved January 11, 2019. ^ Considered, All Things (January 23, 2019). "'Justice Delayed Is Justice Denied' As Government Shutdown Affects Federal Courts". NPR.org. Retrieved January 24, 2019. ^ a b c Shortell, David; Schneider, Jessica (January 22, 2019). "FBI agents detail damage to counterterror, MS-13 probes, in anonymous report". CNN. Retrieved January 23, 2019. ^ Higgins, Tucker (January 22, 2019). "Government shutdown puts children in jeopardy: FBI agents". Cnbc.com. Retrieved January 24, 2019. ^ a b Schapiro, Rich (January 22, 2019). "FBI agents say shutdown is hampering criminal investigations". NBC News. Retrieved January 23, 2019. ^ Banco, Erin (January 8, 2019). "DHS Cancels Border Facilities Visits Because of Shutdown". Daily Beast. Retrieved January 24, 2019. ^ Sands, Geneva (January 15, 2019). "What isn't getting done at DHS during the partial government shutdown". CNN. Retrieved January 24, 2019. ^ Scott Wong, Shutdown halts E-Verify checks Archived January 3, 2019, at the Wayback Machine, The Hill (January 2, 2019). ^ Robert Y. Maples, E-Verify and the Government Shutdown Archived January 3, 2019, at the Wayback Machine, National Law Review (January 3, 2019). ^ Goodin, Dan (January 25, 2019). "DHS: Multiple US gov domains hit in serious DNS hijacking wave". Ars Technica. ^ "US shutdown leaves websites insecure". BBC News. January 11, 2019. Retrieved January 11, 2019. ^ Brandom, Russell (January 23, 2019). "Amid shutdown, agencies scramble to secure federal websites". The Verge. Retrieved January 24, 2019. ^ "DC to remain open during government shutdown". WTOP. December 23, 2018. Archived from the original on December 25, 2018. Retrieved December 25, 2018. ^ Taylor, Adam (December 26, 2018). "3 ways a U.S. government shutdown affects the rest of the world". The Washington Post. Archived from the original on December 26, 2018. Retrieved December 26, 2018. ^ "FCC To Suspend Most Operations Thursday if the Partial Government Shutdown Continues - Slashdot". news.slashdot.org. Retrieved January 3, 2019. 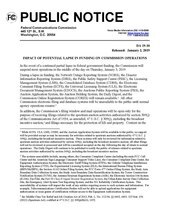 ^ Federal Trade Commission Website https://web.archive.org/web/20190102041616/https://www.ftccomplaintassistant.gov/ Archived version of page version retried as of January 1, 2018 22:17 CST. ^ "ENERGY STAR | The simple choice for energy efficiency". Energy Star. Archived from the original on January 1, 2019. Retrieved January 3, 2019. ^ Rossen, Jake (January 9, 2019). "Craft Beer is the Latest Casualty of the Government Shutdown". Mental Floss. Retrieved January 23, 2019. ^ Officer, Office of the Chief Communications. "USPTO operating status". Uspto.gov. ^ a b "Bloomberg - Are you a robot?". Bloomberg.com. ^ Lang, Marissa (January 10, 2019). "'Pay the workers, furlough Trump': Federal workers rally at White House for end to shutdown". The Washington Post. Retrieved January 11, 2019. ^ Kasana, Mehreen. "5 Concrete Things You Can Do To Protest This Ongoing Government Shutdown". Bustle. Retrieved January 10, 2019. ^ News, A. B. C. (January 15, 2019). "Veterans groups avoid politics and call for shutdown to end". ABC News. Retrieved January 25, 2019. ^ Tiefer, Charles. "The Lawsuit Challenging Trump's Shutdown Delayed Payment Arrangements Should Win". Forbes. Retrieved January 14, 2019. ^ Brown, Ruth (January 11, 2019). "Air traffic controllers sue Trump administration over government shutdown". New York Post. Retrieved January 14, 2019. ^ Gore, Leada (January 11, 2019). "Is Congress paid during a government shutdown? What about the president?". al.com. Retrieved January 14, 2019. ^ Morgan Gstalter (December 22, 2018). "Dem senator vows to donate salary for each day of government shutdown". MSN. Retrieved January 4, 2019. ^ a b Paulina Cachero (December 28, 2018). "Sen. Mazie Hirono donates salary to help federal employees in Hawaii amid 'unfair, completely unnecessary' government shutdown". Yahoo!. Archived from the original on December 29, 2018. Retrieved December 29, 2018. ^ Naomi Jagoda (December 31, 2018). "Incoming Dem lawmaker to donate pay during shutdown". The Hill. Archived from the original on January 1, 2019. Retrieved December 29, 2018. ^ a b Monica Hunter-Hart (December 30, 2018). "The Salary Mazie Hirono Earns During The Government Shutdown Will Be Donated To A Good Cause". Bustle. Archived from the original on December 29, 2018. Retrieved December 29, 2018. ^ a b c Kelly, Caroline. "More than 100 members of Congress reject pay during shutdown". CNN. Retrieved January 22, 2019. ^ a b c Elejalde-Ruiz, Alexia. "Federal employees turn to food pantries during government shutdown: 'After a while you have to let that pride go'". Chicago Tribune. Retrieved January 23, 2019. ^ Ramsey, Lindsey (January 21, 2019). "Chef Jose Andres Is Expanding His Program To Feed Workers Impacted By The Shutdown". Delish. Retrieved January 23, 2019. ^ Adler, Ben (January 18, 2019). "Defying Trump Administration, Calif. Offers Federal Workers Unemployment Benefits". NPR.org. Retrieved January 21, 2019. ^ Benitez, Clara (January 18, 2019). "Federal workers still required to make child support payments despite government shutdown". KEYE. Retrieved January 24, 2019. ^ Raasch, Chuck. "Raasch: At least the government shutdown is proving Tocqueville right". stltoday.com. Retrieved March 15, 2019. ^ Swift, Tim (January 23, 2019). "Miami-Dade, Broward schools pledge to help federal workers amid shutdown". WPLG. Retrieved January 24, 2019. ^ "Religion Notes: Baptist church empties disaster fund to help furloughed workers". Baptist News Global. January 22, 2019. Retrieved January 25, 2019. ^ "Commerce Secretary Wilbur Ross Downplayed Shutdown Hardships. Dems Raged". NPR.org. Retrieved January 25, 2019. ^ Rogers, Katie (January 24, 2019). "A â€˜Let Them Eat Cakeâ€™ Shutdown? Democrats Make the Most of an Administrationâ€™s Missteps". Nytimes.com. Retrieved January 25, 2019. ^ Preovolos, Chris (January 24, 2019). "President Donald Trump does not appear to understand how grocery stores work". SFGate. Retrieved January 25, 2019. ^ "Trump: Local businesses such as grocery stores will 'work along' with feds during shutdown". USA TODAY. Retrieved January 25, 2019. ^ Choi, Matthew. "Trump aides set off furor with out-of-touch shutdown remarks". POLITICO. ^ "Kudlow: Fed workers are 'volunteering,' some feel 'allegiance' to Trump". MSNBC. January 24, 2019. Retrieved January 25, 2019. ^ "FBI director blasts â€˜mind-bogglingâ€™ shutdown impact in message to unpaid employees". Washington Post. ^ Bever, Lindsey (January 24, 2019). "Lara Trump blames media after criticism over 'little bit of pain' comments about unpaid federal workers". The Seattle Times. Retrieved January 25, 2019. ^ Ross |, Martha (January 23, 2019). "Lara Trump sparks fury, 'Marie Antoinette' comparisons for saying federal workers need to 'sacrifice' during shutdown". Marin Independent Journal. Retrieved January 25, 2019. ^ Agiesta, Jennifer (January 13, 2019). "CNN Poll: Trump bears most blame for shutdown". CNN. Retrieved January 14, 2019. ^ Sinozich, Sofi. "Trump, GOP blamed for shutdown; no crisis seen but fewer oppose wall (POLL)". ABC News. Retrieved January 14, 2019. ^ a b c Rakich, Nathaniel (January 4, 2019). "The Public Blamed Trump For The Shutdown — But That May Be Changing". FiveThirtyEight. Retrieved January 13, 2019. ^ a b Silver, Nate (January 17, 2019). "The Shutdown Is Hurting Trump's Approval Rating. But Will It Hurt Him in 2020?". FiveThirtyEight. Retrieved January 17, 2019. ^ Golshan, Tara (December 27, 2018). "Trump's approval rating drops to Charlottesville levels during shutdown". Vox. Retrieved January 13, 2019. ^ Cohn, Nate (January 12, 2019). "As Trump Sticks With His Wall, His Ratings Stay Stuck in Place". The New York Times. ISSN 0362-4331. Retrieved January 13, 2019. ^ Clement, Scott; Balz, Dan (January 13, 2019). "Americans blame Trump and GOP much more than Democrats for shutdown, Post-ABC poll finds". The Washington Post. Retrieved January 15, 2019. ^ "Majority of Americans blame Trump for the shutdown". PBS NewsHour. January 15, 2019. Retrieved January 16, 2019.